It’s Valentine’s Day, or “single awareness day” as college students without a date often say. They may be confusing it with the Saint Valentine’s Day Massacre, when seven mobsters were killed in a Chicago gang feud. They do well to be confused about the significance of this holiday, since the romantic notions have little to do with Saint Valentine himself. Whoever he was. 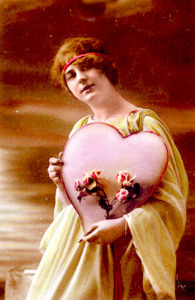 Actually there are 14 Saint Valentines, but only three have been attributed to February 14. The most likely candidate is Valentine of Rome, who was deleted from the General Roman Calendar of Saints in 1969 by Pope Paul VI.